With the tsunami of news and developments around Blockchain, ICOs, and Cryptocurrencies, a platform for reliable, well-sourced information is needed. That platform is NextBigCoins. NextBigFurture is the number #1 science news blog according to Amazon’s Alexa. It is ranked 1st in future and 3rd in innovation according to blogmetrics. NextBigCoins is a sister company to Nexbigfuture, which is known for it’s 15 years of success, knowledge, and credibility. Brian L. Wang, M.B.A. is a long time futurist. 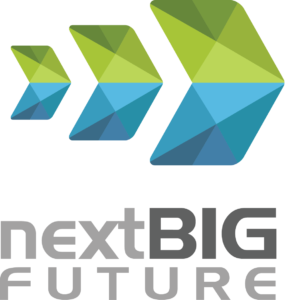 A lecturer at the Singularity University and Nextbigfuture.com author. He worked on the most recent ten-year plan for the Institute for the Future and at a two-day Institute for the Future workshop with Universities and City planners in Hong Kong (advising the city of Hong Kong on their future plans). Kevin Russell is a futurist and foresight consultant. He is CDO of Foresight U, a foresight, and entrepreneurship teaching company. He is an optimistic Blockchain advocate. His first lecture on Bitcoin, Blockchain, and the Future was back in 2013 at the University of San Fransisco. Edwin Urey J.D. is a cryptocurrency investment consultant and entrepreneur. Prior to graduating law school, Edwin worked as the COO of Ligandal Inc., a biotech company located in San Francisco. After returning to law school, Edwin began studying blockchain technology and was successful enough at investing that he began researching coins for clients looking to invest in the space.